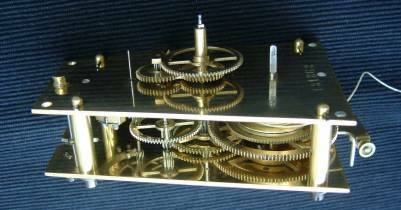 Clock Repairers repair antique - modern clocks & barometers. for collectors that come back ..... and repairs that don't. I started this website with the intention of showcasing some of the many clocks I have collected over a lifetime, the aim being to downsize my collection but the first six visitors were all looking for someone to repair their antique clocks in Brentwood, Chelmsford, Colchester, Southend, Epping and Romford. The huge demand for a reliable but affordable local horologist took me by surprise so the site evolved and now I spend my spare time fixing other people's clocks. I also started a monthly BLOG to describe some of my early experiences but I simply don't have time these days to make contributions to it. I still need to sell off some of my collection and when I find the time I will start adding my own clocks as they become ready for sale; all the movements are sound and should give many years' service unless abused so come with a 12 months parts and labour guarantee. Most are antique and bear the characteristic signs of age so if you're looking for atomic accuracy and characterless condition, you're in the wrong place and probably need to Google 'reproduction quartz clocks'. On the other hand, if it was Google that brought you here because you need your clock repaired and can tolerate occasional delays, or you wanted some free advice and tips on doing it yourself, you've definitely landed in the right place. My passion for fixing clocks began in the mid 1970s after someone gave me an antique wall clock. It ran perfectly but I dismantled and rebuilt it anyway. I still have it. Over the next 35 years I acquired nearly 200 clocks, mostly antique but some modern ones as well, just to study them. I still have most of those, too, plus a horological library bigger than Essex Council. But a sheer lack of space forced me to stop and I now satisfy my passion by repairing other people's. With charges starting at £100 (or just £40 for quartz clocks), I do it for pleasure not profit so I don't cut corners or carry out bodges like this. Povided you're not in a rush, I offer a comparable repair service to the one you'll find in any High Street but with a passion that you'll find infectious! Check my FEEDBACK which is full of five star reviews; I'm even listed on two directories as Number One preferred repairer in the whole of the UK. I give a 12 month GUARANTEE and because I have no overheads, I'm much cheaper - compare my PRICES. And remember, there's no VAT to add. If you're looking for a clock to buy, I can also help but I won't post any clocks overseas because of the transit risks and Customs hassles. I'm in no hurry to see any of my own clocks go but when the site's more advanced, and I have time. you'll be able to click on a picture for more detailed images of what is available, and a 360 degree video, too, eventually. However, the php scripts required for that are complex new territory for me so I'm still working on that. Meanwhile, if you're interested in one particular clock or barometer and want more information or pictures, email me through my CONTACT page and I'll send you what I have. Finally, at the foot of many pages in this site you will see a red 'Google+' button, a Facebook 'Like' button, and a Twitter 'Follow' button (see below). If you find a page interesting, please click on at least one of them to let others know. Try it now. Please remember that this is not a business and I'm not a dealer or a trader; I'm just a private collector offering to assist other collectors and clock lovers for no profit. I have the experience and the right tools but no retail store, no commercial workshops and no insurance. It must be understood that anything you choose to leave with me for repair is left at your own risk. I accept no liability for loss or damage howsoever caused, so please check that your own insurance provides proper protection.